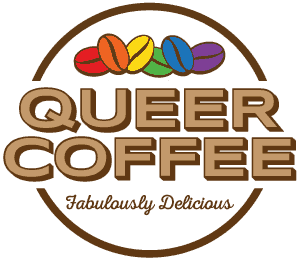 Queers and coffee go together like rainbows and unicorns. And we know there are tons of queer baristas doing amazing work behind the counter and in their community. We want to hear from them! Are YOU an LGBTQ+ barista who geeks out about lattes, pour overs, or intersectional politics? If so, we want to hear from you! Post your comments below too, telling us more about your coffee/queer involvement, and we may select you for an interview on our blog. Please keep in mind, though: we’re a teeny, tiny company, so we may not be able to respond to everyone right away. 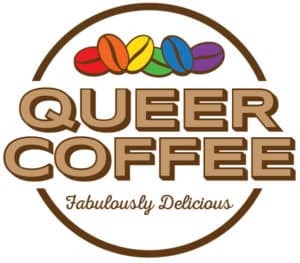 Please share this post with any coffee queers you know. We want to show some love to the folks standing at the intersections of gender, sexual orientation, and coffee – three of our favorite things! I’m a trans barista currently living in Maryland and working with a roaster out here. I’ve worked with specialty coffee in Fairbanks, Alaska and with Ahimsa Caravan Cafe at Coachella, and helped start a shop in Antigua Guatemala. What you’re doing is rad! Thanks for the compliment! Hey, sounds like you’ve been around the coffee scene a while – would love to chat more, so I’ll try to get in touch soon!